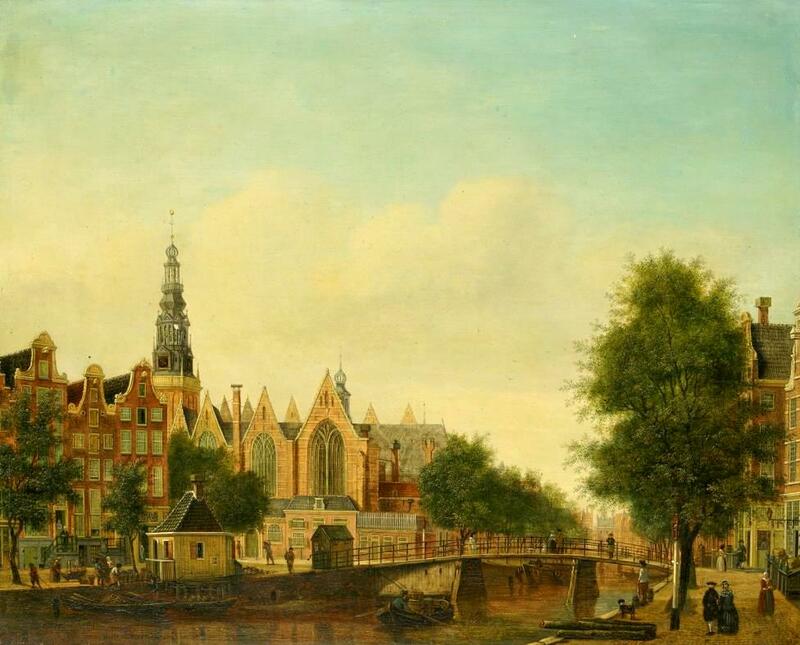 Johannes Huibert Prins – Amsterdam Museum inv.nr. SA 552. Title: De Oude Kerk gezien vanaf de Oudezijds Voorburgwal. Date: c. 1765-1785 Materials: oil on panel. Dimensions: 39 x 48 cm.. Nr. : inv.nr. SA 552. Source: http://am.adlibhosting.com/Details/collect/37514. I have changed the light and contrast of the original photo. Jochem de Vries – Rijksmuseum SK-A-4065. Title: De Groenlandvaarder ‘Zaandam’ van rederij Claes Taan en Zn, Zaandam, op de walvisvangst. Date: 1772. Materials: oil on canvas. Dimensions: 99 x 126.8 cm. Nr. : SK-A-4065. Source: https://commons.wikimedia.org/wiki/File:Jochem_de_Vries_-_De_Groenlandvaarder_%27Zaandam%27.jpg. I have changed the light, contrast and colors of the original photo. 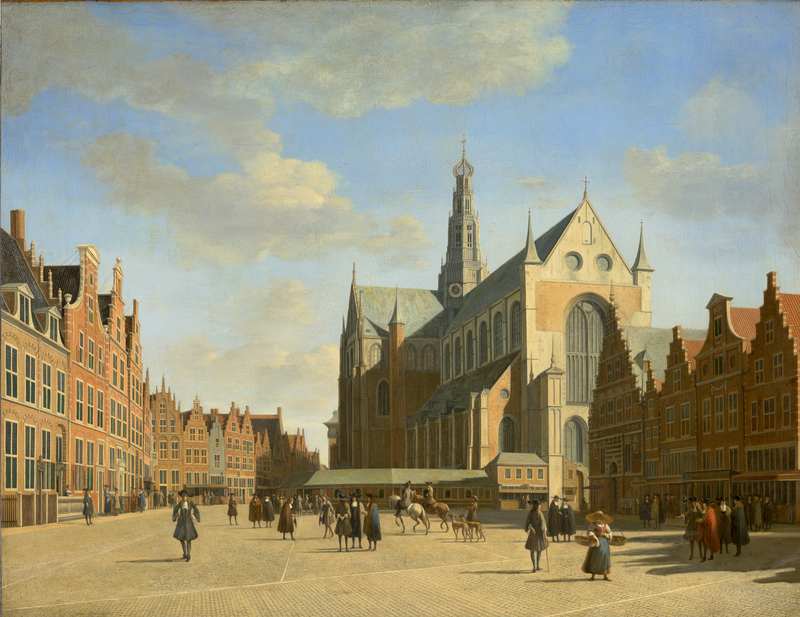 Jan ten Compe – Amsterdam MuseumSA 8757. 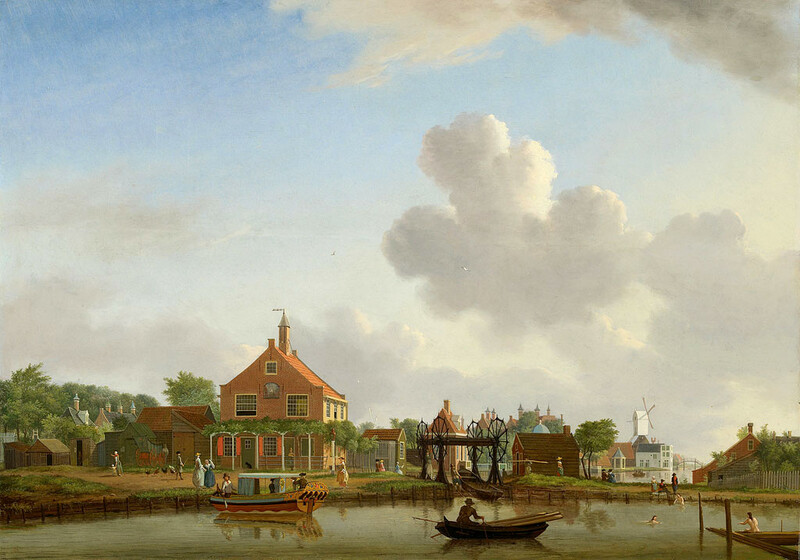 Title: Het Polderhuis aan de Boerenwetering. Date: 1735. Materials: oil on panel. Dimensions: 44.5 x 64 cm. Nr. : SA 8757. Source: https://commons.wikimedia.org/wiki/File:SA_8757-Het_Polderhuis_aan_de_Boerenwetering-Het_Polderhuis_aan_de_Boerenwetering_gezien_vanaf_de_Mennonietensloot.jpg. I have changed the light and contrast of the original photo. Otto Frölicher – Kunstmuseum Solothurn B 126. 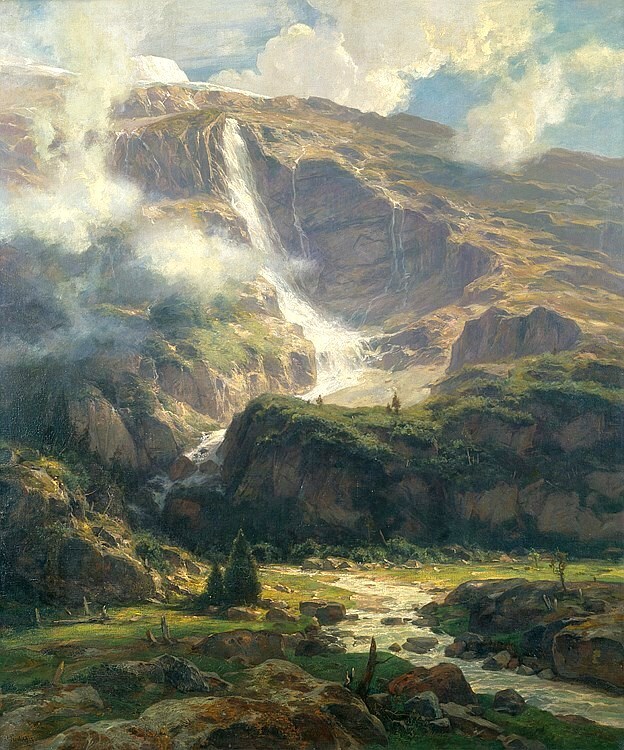 Title: Schmadribach. Date: c. 1881. Materials: oil on canvas. Dimensions: 111.5 x 92 cm. Nr. : B 126. Source: http://www.sikart.ch/imgrenderer2.aspx?id=14464396. I have changed the light and contrast of the original photo. Simon de Vlieger – The Hermitage Museum ГЭ-1033. 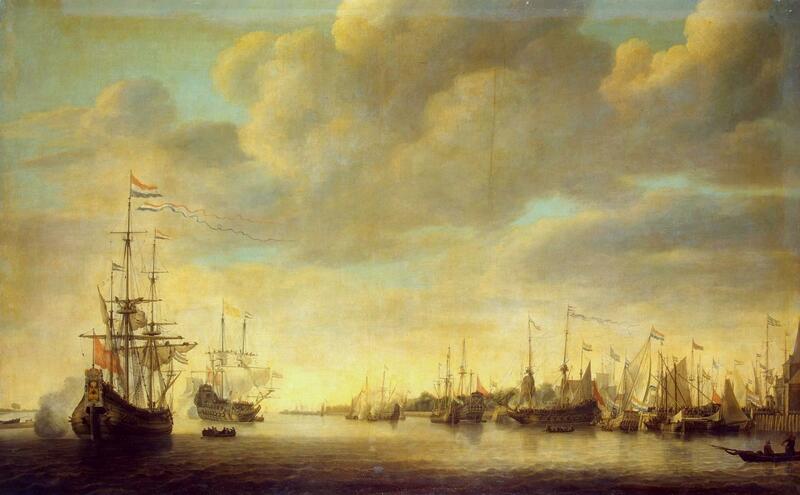 Title: Flotilla on the River Maas near Rotterdam. Date: 1642. Materials: oil on canvas. Dimensions: 161.5 x 257.5 cm. Nr. : ГЭ-1033. Source: https://commons.wikimedia.org/wiki/File:Simon_de_Vlieger_-_Arrival_of_William_of_Orange.jpg. I have changed the light, contrast and colors of the original photo. 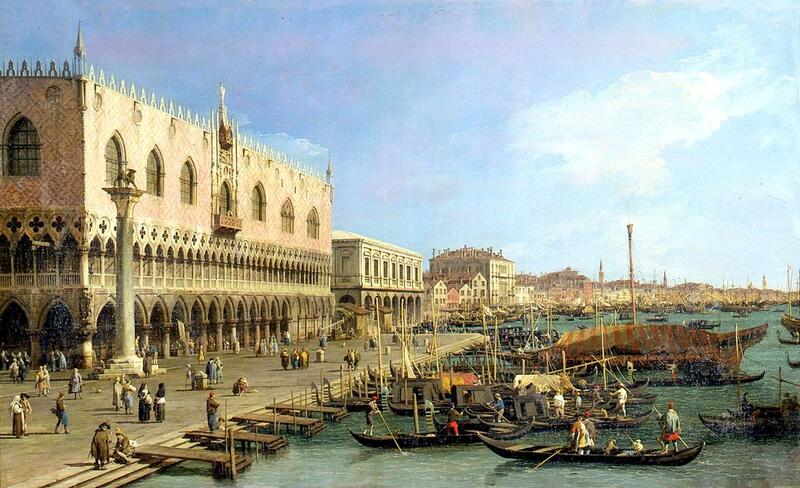 Canaletto – Pinacoteca del Castello Sforzesco inv. n. 1473. Title: Il Molo verso la riva degli Schiavoni con la colonna di San Marco. Date: before 1742. Materials: oil on canvas. Dimensions: 185.5 x 110.5 cm. Nr. : inv. n. 1473. Source: https://pinacoteca.milanocastello.it/sites/pinacoteca.milanocastello.it/files/styles/grande_per_colorbox/public/9-highlights-Canaletto-inv.-1473_1500.jpg?itok=gagTJU15. I have changed the light and contrast of the original photo. Claude Monet – Gemeentemuseum Den Hag 0332453. 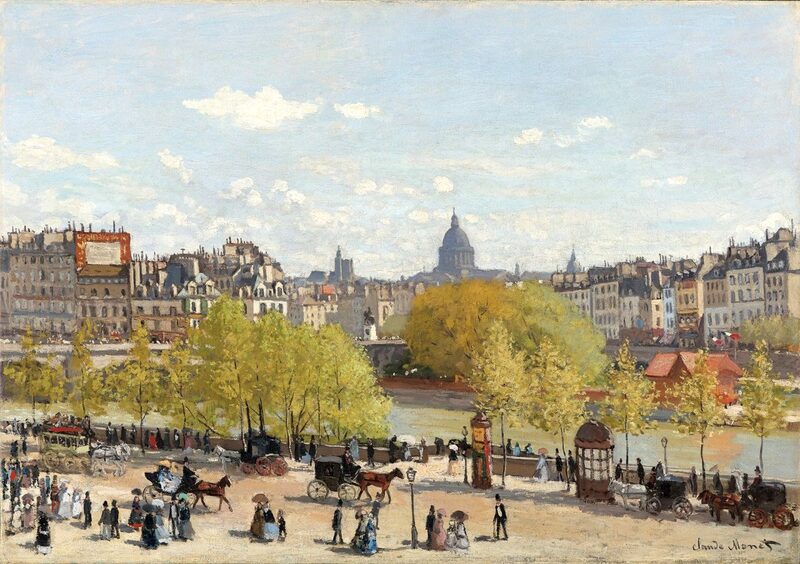 Title: Quai du Louvre. Date: c. 1867. Materials: oil on canvas. Dimensions: 65.1 x 92.6 cm. Nr. : 0332453. https://www.toocool2betrue.com/wp-content/uploads/2016/09/6-1320×930.jpg. I have changed the light and contrast of the original photo. Hasui Kawase – Museum of Fine Arts (Boston) 35.1889. Title: Early Summer Rain, Arakawa. Date: 1932. Materials: woodblock print. Dimensions: 39.8 x 27.1 cm. Nr. : 35.1889. 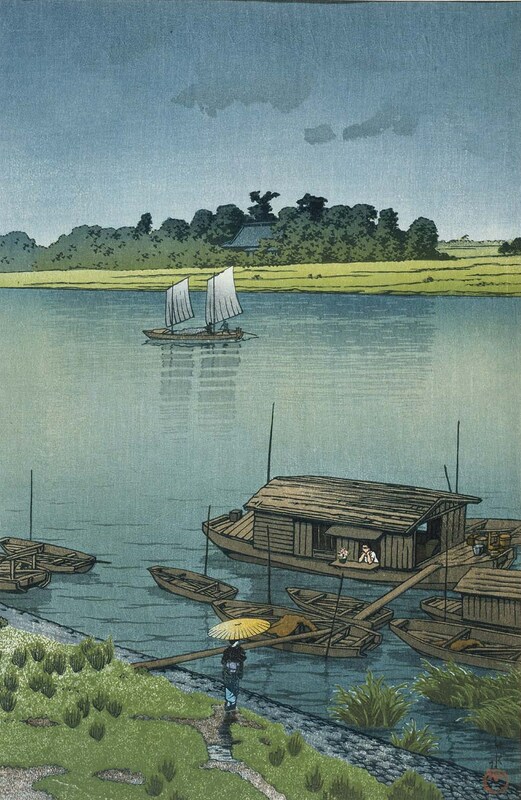 Source: https://www.mfa.org/collections/object/early-summer-rain-arakawa-samidare-arakawa-247797. 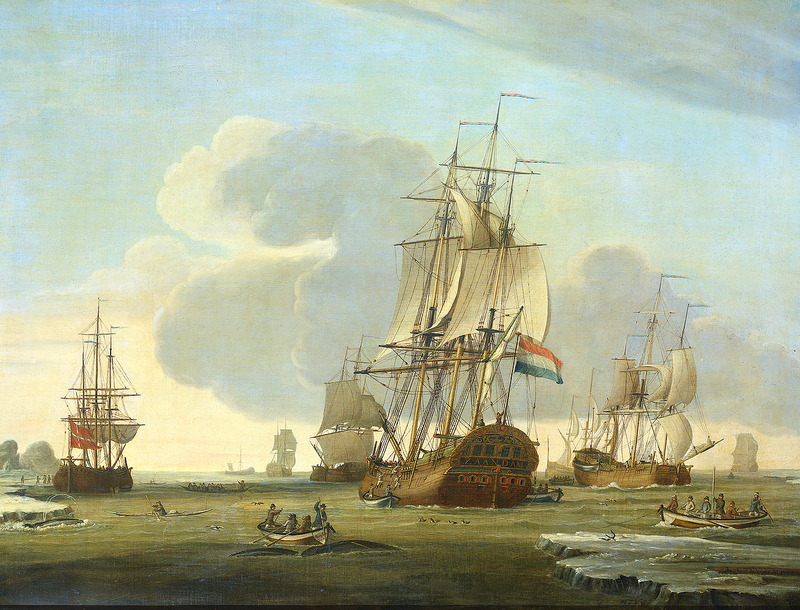 Aelbert Cuyp – The Royal Collection RCIN 405827. 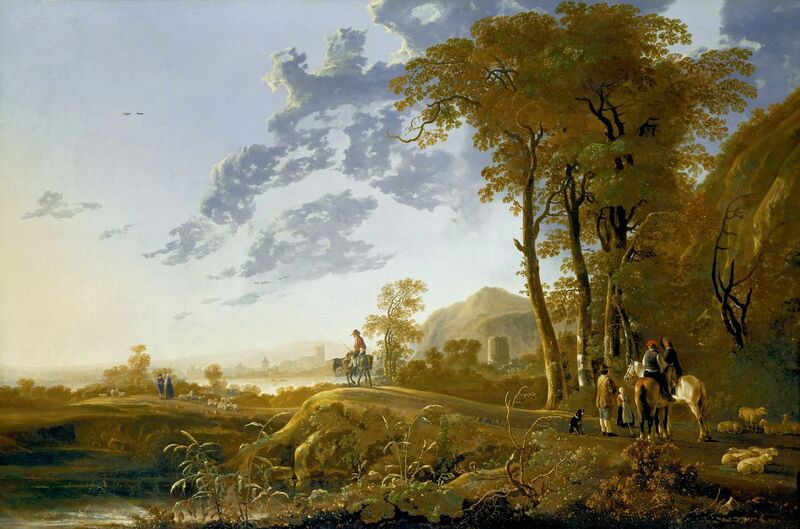 Title: An Evening Landscape with Figures and Sheep. Date: c. 1655-1659. Materials: oil on canvas. Dimensions: 101.6 x 153.6 cm. Inscriptions: A cuÿp (lower right). Nr. : RCIN 405827. Source: https://www.royalcollection.org.uk/sites/default/files/collection-online/e/9/256273-1330622491.jpg. I have changed the light and contrast of the original photo.